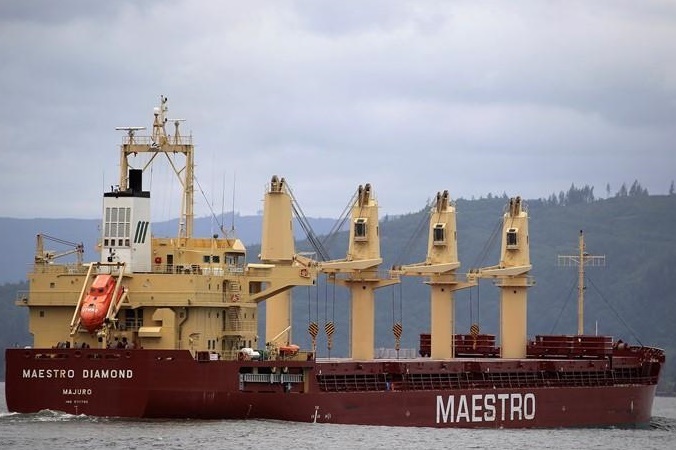 The bulk carrier Maestro Diamond, loaded with 34,000 tons of fertilizers, ran aground in Baltic sea on 7 nautical miles southeast off Gedser, Denmark. The vessel was en route from Klaipeda Seaport in Lithuania to New Orleans, USA, but after technical failure hardly stuck into a mud shallow near Denmark. The accident was reported to the local authorities, but there are no breaches and leaks reported. The local authorities dispatched rescue boats and tugs at the scene, which carrier special underwater survey to estimate the condition of the ship’s hull. 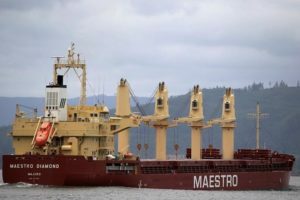 The bulk carrier Maestro Diamond will be refloated at high tide and inspected before return in operations and proceed the voyage to USA. During the accident there were no injured people and water pollution. The local authorities started investigation for the circumstances around the incident. The bulk carrier will be inspected before return in operations, but according to preliminary information the hull did not suffered damages and breaches. The bulk carrier Maestro Diamond (IMO: 9711705) has overall length of 177.60 m, moulded beam of 28.60 m, depth of 15.00 m and maximum draft of 11.20 m. The deadweight of the ship is 36,920 DWT, the gross tonnage is 22,872 GRT and net tonnage is 12,519 NT. The bulk carrier has five cargo holds with total capacity of 45,790.76 cub m, as all hold are double skinned and box-shaped. The bulk carrier Maestro Diamond was built in 2015 by Saiki Heavy Industries in their shipyard in Japan. The vessel is owned and operated by Maestro Shipping.